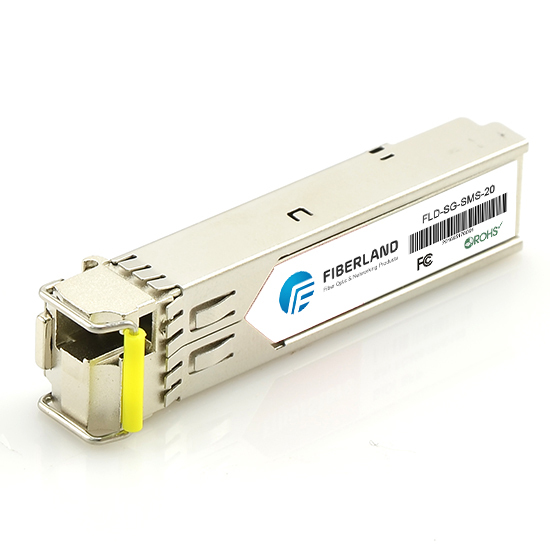 The 10G SFP+ optical module is the new 10 gigabit fiber optic transceiver which is designed based on the ANSI protocol. Compared with the earlier XFP module, the appearance of the 10G SFP+ is reduced by about 30%. The appearance of the SFP+ is the same as the 1-4G SFP fiber optic transceiver; and the SFP+ module only retains the basic photoelectric conversion function. The 10G SFP+ module reduces the original function of XFP, including the SerDes, CDR, EDC, MAC and other signal control function. Therefore, the design of the 10G fiber optic module is simplified and the power consumption is smaller. By the way, we provide the SFP+ module with reasonable price and high performance to meet the Fiber Channel and 8.5G/10G Ethernet applications. Contact our customer service for the latest information.